The authors of the Regional Climate survey on Russia are sure that Russia could become the flagship of the low-carbon era and fulfill its "thirst for grandeur" by means of climate initiatives. The authors of the scientific review published by John Wiley & Sons, Ltd analyze almost all areas related to climate - from national policies and economic conditions to geographical features of the country. The list of authors gives credibility to the document: it includes Professor Kevin Anderson, the Director of the British Scientific Research Center of climate change, the climate adviser to the UK Government. Below are some of the theses of British experts. Russia is the coldest country in the world and has some of the world toughest conditions to live over most of its territory. Given that Russia holds 11% of the world's land area, and permafrost underlain by methane occupies nearly two thirds of the country, warming increases the risk of launching global climate problems. If the scale and pace of climate change will exceed adaptation efforts, the consequences will be devastating. Non-use of the country's potential can lead to significant and irreversible changes not only for Russia, but for the whole world. The status and role of the main climate commissioner – the State Committee for Hydrometeorology (Roshydromet) - partly explains the inaction of the country in policies on climate change. Roshydromet remained a passive observer for long. Now its jurisdiction extends to prevention and research in the field of adaptation to climate change. However, this state institution exists in isolation from the regulatory environment. A huge problem is the lack of understanding of the importance of synergy in addressing climate change by Russian ministries and departments. Russia has two major climatic documents: the Climate Doctrine and the Action Plan for implementation of the Climate Doctrine (2011). Their combined effect could form the basis of real politics at the highest legislative level. However, these documents have no more than a rhetorical context. Neither the Doctrine nor the Plan include quantitative targets. The documents do not identify any financial or "professional" support: many ministries have no defined role in this process. The national target to reduce emissions by 25% below 1990 level declared in one of the resolutions means actually the growth of emissions, while the current levels are around 30% lower than they were in 1990. Legislation relating to energy efficiency is the flagship of the country's energy policy. The Energy Strategy of Russia until 2030 and the Federal Law "On energy saving and energy efficiency" are ambitious "synergistic" attempt to cover all sectors where energy is used. Though unlike in the Climate Doctrine and the Plan, these documents prescribe specific objectives, there are difficulties similar to the climatic documents in terms of implementation. The Scientific Advisory Board, which monitors implementation of legislation in this area, argues that the current performance of "energy efficiency laws" is very poor, and the target of 40% reduction of energy consumption within the indicated timeline cannot be achieved. After the reform in the housing sector, all costs for housing and communal services must fully become the responsibility of the consumer. It was initially planned to do so by 2003, then - by 2005. However, even in 2012, some municipalities continue to subsidize the consumers up to 50%. Meanwhile, the experts of the Accounts Chamber of the Russian Federation argue that the reform does not improve quality. Paradoxically, the key problem in Russia is significant reserves of fossil fuels. In order to generate income for diversification of the economy, the country is investing in production of hydrocarbons. Russia still has elements of planned economy - the re-nationalization of some energy companies and subsidies for fossil fuels. Although Russia gradually raises domestic energy prices, the process of liberalization of the energy sector is very slow. According to the Energy Outlook, the country's subsidies for fossil fuels amounted to 39.2 billion U.S. dollars in 2010, making 2.7% of GDP. Currently, according to the plans of the Government, cross-subsidization of electricity should be discontinued in the next 4 years. However, according to conservative forecasts, subsidies for electricity in 2013 will amount to 200 billion rubles (for comparison, 135 billion in 2008). Conflicting administrative solutions in the field of energy create an atmosphere of uncertainty in the sector, preventing introduction of much-needed investments for emissions reductions. 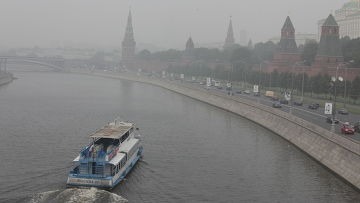 Since the mid-2000s, the Russian government is committed to come closer to the progressively strict European standards governing the exhaust emissions of transport: to reduce gradually the use of less environmentally friendly fuels. By the end of 2014, Russia should go to Euro-3, a year later - to Euro-4. However, taking into account the previously planned introduction of Euro-2 standard by 2008, experts warn that Russia is unlikely to keep within the schedule. It is easier to advance political decisions, including objectives on emission reductions, in Russia as compared to other industrialized countries. The Russian scientific community has adopted climate change problem as a serious one only after the political decision, and gave no signal to politicians, as usual. It is easier for the paternalistic semi-authoritarian regime to promote its ideas to the society, in which the "culture of passive observation" is accepted. On the other hand, lack of transparency, unclear distribution of responsibilities, and other aspects of the bureaucratic heritage continue to hinder progress. A possible reason for the low level of climate policy in priorities of leaders is the "fossil" component of the budget. The leadership of the country has deeply rooted opinion that decarbonization cannot be beneficial for economic and geopolitical interests. The level of awareness and concern about climate change among the population of Russia, though still relatively low, continues to grow steadily. Extreme weather events may further push society to a public debate, and ultimately catalyze national policy. Not only the size of the country, the amount of resources, but also its share in the global emission of greenhouse gases has great climatic potential. The Kyoto Protocol did not originally enjoy the attention of Russian political leaders, despite the fact that the goals of reducing emissions compared to 1990 levels due to the economic downturn would be easily reached. Russia's position at climate negotiations cannot be called consistent. Russia gave up with the second period of the Kyoto Protocol, but Russian representatives do not cease to declare that the country will meet its current obligations. The imminent end of the Age of fossil fuel energy can undermine the superiority of Russia. In this regard, the Kyoto Protocol would allow Russia to demonstrate that it is ready to become a key driving force in the fight against climate change, dominant in the international climate negotiations. Russia must become a leader! The unique confluence of factors offers Russia a dilemma: to agree without efforts to short-term political and economic benefits, or to make efforts to fulfill its "thirst for grandeur", initiating an era of international action for "low carbon sustainability."